You're in! Take the next steps. Congratulations! And, welcome to CougarNation. You've been accepted to one of the finest colleges in the Southeast. So, what now? First, pay your non-refundable deposit. iCharleston participants, use this to pay your deposit. Charleston Bridge participants, use this to pay your deposit. Register for housing and orientation. Attend a reception for admitted students in your area. Send your final high school transcripts. ﻿﻿Here's step-by-step instructions to pay your $100 tuition deposit, $200 housing prepayment and $50 housing application fee. In the new pop-up window, select Deposits at the top, then select the term (2019 fall). Repeat No. 3 above, but select housing deposit. The system will prompt you to submit the $200 housing prepayment (this confirms your intent to request on-campus housing). Repeat No. 3 above, but select housing application fee. The system will prompt you to submit the $50 housing application fee (this will allow you to access the housing application). Return to the MyCharleston home page. Click on the MyHousing/Dining button on the right side of the page. MyCharleston is not accessible in Google Chrome or Safari; you'll need to use an alternative browser like Internet Explorer or Mozilla Firefox to set up your account. If this is your first time logging in, you'll need to follow carefully the instructions for first time login at my.cofc.edu. Once you've logged in previously, you'll select the My Accounts tab, then eBills, and then Deposits to make deposit payments. MyCharleston access allows you to view and accept financial aid award(s), pay deposits and tuition bills, and see transfer credit evaluations. To learn more about MyCharleston, click here. Remember, MyCharleston is not currently accessible in Google Chrome or Safari; you will need to use an alternative browser like Internet Explorer or Mozilla Firefox to set up your account. If you have set up your MyCharleston account but have forgotten your password, go to my.cofc.edu and click Forgot Password. Enter your student ID number (located in your acceptance packet) as your username and click submit. Answer your security questions, and you will be prompted to reset your password. If you have not set up your MyCharleston account yet, contact mycharlestonapplicant@cofc.edu to request a new email with your unique link to create your account (be sure to include your student ID number). If you have set up your MyCharleston account but are locked out due to inactivity, contact helpdesk@cofc.edu for assistance (be sure to include your student ID number). You can also call 843.953.3375. Helpdesk hours are Monday - Friday from 7:30 a.m. - 10:00 p.m., Saturday & Sunday 2:00 p.m. - 10:00 p.m.
Once you've paid your deposit, Helpdesk will email you permanent login credentials. This means you can have access to MyCharleston's enrolled student tabs. Your username will then become a combination of your last name and first initials; you will no longer use your ID to log in. Keep an eye on your inbox for instructions to set up your campus issued email account. If you paid your deposit but did not receive this information, contact admissions@cofc.edu. You will be able to check your CofC email account at webmail.cofc.edu. Watch out for phishing. We will never ask you for your username or password via email. You've paid your deposit, so what now? Once you've made your final decision to enroll and submitted your deposits, you'll receive housing and orientation information in the mail and via email. You will receive housing information only if you opt to live on campus; you will receive orientation information in March. All new students are expected to participate in orientation before classes begin. During orientation, students will register for classes and learn about campus services as well as faculty, staff and current students. We encourage you to apply for federal assistance. If you have not already done so, you should file the 2019-2020 Free Application for Federal Student Aid (FAFSA). 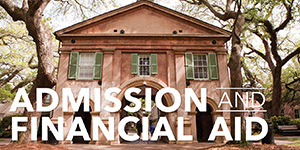 If you have filed the 2019-2020 FAFSA and completed all missing requirements, your MyCharleston account will reflect your federal financial aid eligibility no later than March 15th, 2019. Join us for Accepted Student Day (ASD) and Live Your Best Life! Register now. Tour campus (again! 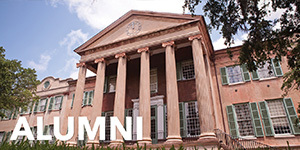 ), meet other College of Charleston students and learn even more about the dynamic community only the College of Charleston can provide. 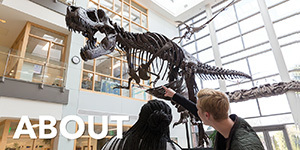 Expanded visit days: join us for a full day on campus. Create your own schedule comprised of campus tours, residence hall drop-ins, information sessions - and more! Certain sessions will be offered for accepted students to guide you through the next steps, but be sure to ask any specific questions you need answers to as you make your final college decision! 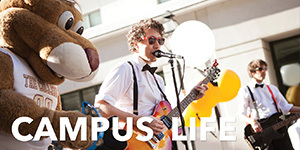 Cougar for the Day : come experience a day in the life of a current student! You and another accepted student will be paired with a current CofC student to shadow for a day. You'll observe their classes, eat lunch in one of our dining halls, visit a residence hall and get a glimpse of what your life could be like in Charleston. (Even better, your lunch is on us!) So, request this visit option, and keep in mind that we can only accommodate up to five visits a day (first come, first served). Classroom visits: looking for something to enhance your tour? Then come observe an hour-long class! 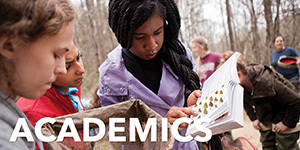 This is a great way to gain a better understanding of what academics are like at the College. You’ll sit in on a class, meet other students and even have the opportunity to ask a professor questions about your major interests. Classroom visits are offered Monday-Friday and require two weeks notice. Accepted student tours: your accepted student information session will cover what you need to know to deposit on the spot! Your campus tour guide will share, candidly, why they chose to attend the College (and would again!). Whether you've toured campus before or this is your first visit to campus, you're sure to walk away with the same love for CofC as we have. You may even see some spots you didn't see on a prior visit to campus. The New Student Calendar will serve as a handy month-by-month checklist to help you prepare to enter the College. If you wish to receive transfer credit, submit all official college transcripts (including dual credit coursework as well as official AP, IB, and CLEP scores). Transfer credit evaluations will be finished no later than your orientation. mail to College of Charleston, Office of Admissions, 66 George Street, Charleston, S.C. 29424-0001. Every student must provide proof of U.S. citizenship before enrolling. If you've filed a FAFSA, you're all set. If you've not filed a FAFSA, you must provide proof of U.S. citizenship; complete the Verification of Lawful Presence form and deliver the original, with a photocopy of your proof document, in person or by mail, to the Registrar's Office. You can pay all bills online through MyCharleston. Buy Cougar gear online or in our bookstore. If you're in the neighborhood, head to a game. 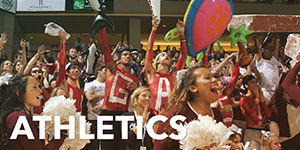 Visit cofcsports.com to check out team schedules (and get fired up!). And for our overachievers, there's always more! Want to get a jump on your college career? Register for Summer Sessions. If you have work or other commitments preventing you from registering for a traditional class, try one of our distance education/online courses. Cougar Excursion is a weekend leadership retreat for incoming students. Held over three days, you'll make connections to the College and your fellow students, learn how to get involved on campus, and participate in team-building exercises. Cougar Excursion is held in August.